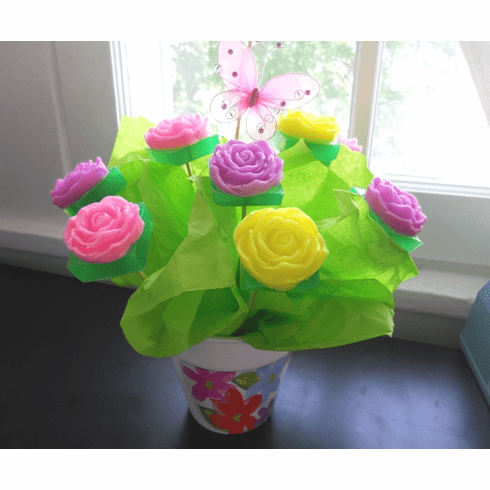 Soap bouquet comes with all hand-crafted glycerin soap flowers. There are 9 flowers that weigh approximately 1.5 oz each. There will be 3 yellow, 3 pink, and 3 purple. The yellow flowers are scented with a honeysuckle fragrance, the purple with lilac, and the pink in rose. Will come in a ceramic planter, clear cellophane, bow, and gift tag. I can include a small message just leave in comments section or email me.